Mallet tank No. 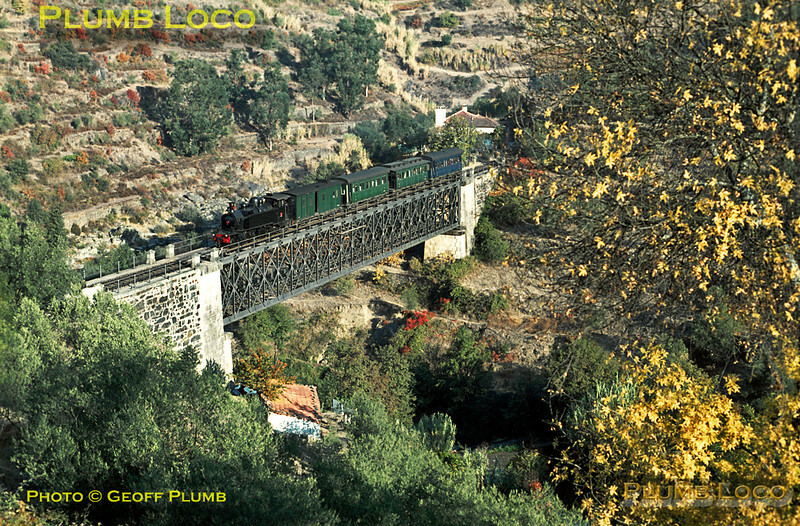 E214 crosses the river viaduct over a tributary of the Corgo as it approaches Tanha station with its train from Chaves to Régua, where it was due to arrive at 10:11. Wednesday 4th November 1970. Slide No. 5747.